"Here's How You Can Boost Your Commissions Up To Eight Times, By Secretly Hiding Your Affiliate Links From Your Visitors, Using This Simple WordPress Plugin"
Did you know that there are now hundreds of people earning six figure incomes from affiliate marketing, as well as thousands of people earning four or five figure incomes? But despite these successes, there are a lot of new affiliates who make very little. Part of the reason for this lack of success, is that many new affiliates throw away a BIG chunk of their commissions, simply by failing to use one simple technique. But now there is an easy quick-fix solution. This really is not rocket science, but it's amazing how many affiliates are failing to do it. These links are neat, clean and look just like links to ordinary pages on your blog. In an independent test where the exact same information was given to two groups of 4000 people - with the only difference in the information being the link - over eight times as many people clicked on the hidden link as clicked on the original affiliate link. While I cannot promise that you'll see the same increase, you will almost certainly see a significant increase from using hidden links. Affiliate Whisper also has a second feature, called "embedded links" which hides affiliate links even more effectively. Using this feature, you can earn affiliate commissions without your visitors seeing any visible traces that you are promoting an affiliate program. In fact this solution actually creates the special affiliate commission "cookies" (that credit you with the sale) independently of visitors clicking on your links. This can be useful in cases where visible affiliate links could undermine sales - or where there is a serious risk of affiliate commission loss. For example, if you have an independent review site, you can instantly lose all credibility if your "best buy" product uses an affiliate link. However with embedded links, you can provide a direct link to the sales page - and still get paid. You even get paid if someone lands on your page then goes to the sales page directly, without clicking on your link at all. Consider a case where someone likes the sound of what you're promoting, but decides to search on Google for product reviews before ordering - then ends up going direct to the sales page from Google without ever clicking on your link. In a normal case, you lose your commission - but with embedded links, you still get paid. Embedded links is a powerful solution for promoting affiliate programs from any blog. Most affiliates have no idea that this method exists - let alone how to deploy it. But with your copy of Affiliate Whisper, you can deploy this powerful income boosting solution instantly - with almost zero effort. Using Affiliate Whisper is incredibly simple. Just use the special tool to create your WordPress plugin, then upload the plugin to your blog (in the same way as any other plugin). Once you've activated the plugin, you can visit the Affiliate Links Settings option in your blog admin at any time, to enter (and update) your affiliate links. To hide links, you need a "link name", which is a short name that you give the link as an easy way to identify it. For example, if you had a link promoting an ebook, you might use the link name "ebook". You then enter the link into the top box of the Affiliate Links Settings option. You can use anything you want in place of "info", such as "recommended", "sites", "links" or anything else. You can use the plugin to hide as many links as you want, just by entering all the links (one per line) into the top box of the Affiliate Links Settings option. You can also change any link at any time, just by changing the relevant line in the box. So any posts, pages or ads that contained that hidden link would switch to promoting the new affiliate link automatically. To use the embedded links feature, just enter your links into the bottom box of the Affiliate Links Settings option (one link per line). All the links will then be automatically embedded inside every post/page of the blog. If you only want to embed links in specific posts/pages, you can easily do that too, just by entering a small bit of text into the specific post/page. 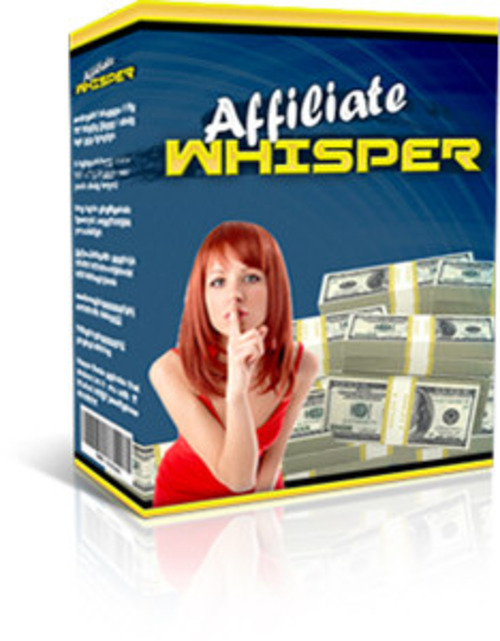 The Affiliate Whisper WordPress plugin is licensed for use on an unlimited number of blogs, so you can use it on every blog you own, without paying any extra. Requirements: Blogs must be WordPress blogs on your own web hosting (i.e. NOT on https://www.tradebit.com). Ideally you should be using the latest version of Wordpress, but the plugin should work with any version of WordPress from 2.8 onwards. The tool that creates the plugin requires a PC running Microsoft Windows (any version). Support For WordPress Multisite: WordPress Multisite is an advanced WordPress feature that allows a single installation of WordPress to operate multiple blogs. This software supports Multisite as long as each blog is on a different domain or subdomain (which is the normal use of Multisite). Issues With Embedding Links: Embedding links is usually considered to be a "black hat" solution because it is so powerful that it can be abused. As a result, it is not allowed by some affiliate programs. Hiding links is classed as a "white hat" solution and is allowed by all affiliate programs. If in doubt, stick to the link hiding option. Earnings Disclaimer: Although we provide a powerful solution that can boost income, the results are dependent on many factors outside our control. We are not therefore able to give any guarantees about the level of income that you will attain by using this software. Affiliate Whisper Master Resale/giveaway Rights!